The past fifty years have seen enormous strides in workplace rights for women. But despite our advancements, women are still drastically underrepresented in the world of business, especially at an executive level. Women looking to start a business may find it difficult to obtain capital from traditional lenders. These lenders often require extensive credit histories, along with collateral, prior to financing small businesses. This can be especially risky if it means you have to put your family’s home down as a guarantee against your loan. Applying with traditional lenders can also be an extremely tedious process. Applying for a line of credit in a bank can take weeks and require documentation that may not be available to you, especially if your business is young. More and more female entrepreneurs are seeking funding as the playing field becomes more and more level over time. Women looking for funding may actually be overwhelmed with the sheer number of funding sources that are being made available. However, even in 2018, women are still finding it harder than men to qualify for the same loans that are more readily available to men. 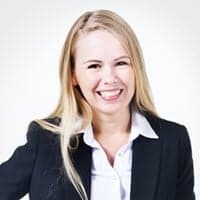 For this reason, it helps women in business to explore funding options that are specifically tailored to the unique needs a female business owner faces. Online lenders have less stringent requirements when it comes to providing funding for small businesses including for female run small businesses. When it comes time to find affordable sources of funding for women, it is recommended to explore the option that online lenders can provide. Traditional banks may ask for extensive paperwork, lots of financial proof, and filling out documents before a loan can be extended. However with online lenders, the lending process is more relaxed, great credit is not always a requirement, and small business owners can get the funding they need much more quickly. Small business loans for women are provided in a variety of different forms. There are traditional loans in the form of term installment loans. In addition, small business owners can also get access to small business lines of credit that provide immediate access to funding for a variety of different purposes. Other funding sources include revolving lines of credit, small business credit cards, working capital loans, and microloans. Should you get a small business loan for women? If you are a woman entrepreneur, you will face the same business challenge as male business owners. There will be a need for purchasing inventory, software, and hardware, covering payroll costs, operational costs, and other day-to-day expenses. If the revenue from your business is enough to cover all of these costs and still turn a profit then you may not have an immediate need for a small business loan for women. However, if you find that you will need to cover gaps in income frequently, a small business loan may offer the perfect solution. A business line of credit is one of the best options when it comes to finding funding for your small business. If you are facing blockages as you try to obtain standard financing for your business, then a business line of credit could offer an ideal solution. One of the reasons to consider a business line of credit over a term loan is that they offer much better interest rates. A business line of credit can provide the same access to funding as a traditional term loan except that the payments are more manageable since the terms are more agreeable. When examining small business loans for women entrepreneurs, small business lines of credit are a great funding option. This is because they are much easier to qualify for than a standard business loan. Instead of spending time applying and providing extensive financial proofs, business owners can get access to a business line of credit in half the time. Great credit is not a major requirement which is helpful to female small business owners who are still working on building up their credit scores. A business line of credit works like a credit card and provides steady access to a funding source for entrepreneurs who need it. Whether you need to access cash for emergency funding, pay operational expenses, or make an invoice payment, you will be able to do so with a business line of credit. However, a business line of credit is not usually used for purchasing equipment and other large purchases. We pride ourselves on helping women all across the nation access affordable financing for their small businesses. We encourage businesswomen by providing them access to lenders who offer the capital they can use for a wide array of different costs associated with being in business. We’ve made applying for financing easy by streamlining the process through our online portal. Instead of applying in person, you can use our fully automated system to apply for funding of up to $150,000. We don’t require extensive and unnecessary documentation from you in order to assess your eligibility for a loan. Instead, we look at revenue documentation, which takes away the headache of applying for business related finance. Women are able to access any of our available finance options, the small business loan for women was made with the specific intention of standing by our commitment to women entrepreneurs. We’re currently one of the only online companies that offer access to lenders who finance specifically for women in business. We’re a premium online finance company connecting entrepreneurs with the lenders who can serve their needs and that has a reputation for excellence amongst our customer base. We are able to provide large amounts of capital to clients at extremely short notice. In addition, we provide a wide array of financial tools for customers, which means we can help any business regardless of its current life cycle. We understand what it means to be a small business, and how hard it can be to meet short-term payment commitments — and that’s why we’ve made our application process quick and pain-free. How Can a Loan Help My Business? The decision to obtain funding is a major one and requires careful consideration. It is essential to ensure that you can cover the costs of the loan including adhering to the loan repayment schedule. Another thing to consider is how much money to borrow and how much funding your small business will actually need. If you want to avoid getting in over your head in debt, you will need to only borrow a manageable amount that you can easily repay. In addition, if your business is still building credit, you will want to make sure that all of your payments are made on time so that you can establish a strong credit rating. To prepare for your business loan application, you will want to take the first step in gathering important financial documentation. Some of the documents you may need to have on hand include balance sheets, invoice sheets, tax returns, and other related documents. Every lender’s specific requirements will vary so getting a list of the documents you will need before the loan process starts can be helpful. It is recommended to obtain a copy of your credit report before applying for a new loan. This is due to the fact that lenders will want to know what your credit score is even if it doesn’t weigh heavily on their final decision. Learning about the lender’s credit requirements can also help you be prepared for what the loan process entails. You can gather a list of potential lenders to see what their different loan options are. With various lenders offering access to different loan products, you can find a small business loan for women that best serves your needs. Alternatively, you can apply for a business line of credit through Business Line of Credit Hub. With our convenient online service, you can get access to many different lenders at one time who may be able to give you the funding you need. Before taking out a small business loan for women, you can benefit from meeting with a financial counselor. Your financial counselor can help you to streamline the application process and know what to expect prior to applying for funding. They can also help you to come up with a business plan where you can outline your business goals and plans for reaching them. The Small Business Administration provides programs for female entrepreneurs through their Office of Women’s Business Ownership. (OWBO). Get the information you need there to grow a profitable female-led business in any industry. The 8(a) Business Development Program provides help for small and disadvantaged businesses so that they can be more competitive in the everyday marketplace. There are also many different SBA loan programs that provide small business funding to women entrepreneurs. When you join the United States Women’s Chamber of Commerce, you have access to a community that is geared towards helping women to succeed in business. Here, you will meet people that are advocating for your success and have a part in shaping legislation that is beneficial for women in business. With so many resources and programs available to women seeking entrepreneurship opportunities, it is possible to find the support and network you need for your business to thrive. Business Line of Credit Hub is your first choice for lending opportunities that can help your business succeed and reach new heights. Business Line of Credit Hub provides a single solution for women entrepreneurs searching for access to capital for their small businesses. We offer direct access to lenders who can provide the immediate funding your small business can benefit from. Whether you have an established enterprise or you are just beginning your journey as a small business owner, we can provide the right solutions. Business Line of Credit Hub has all of the resources you need right here on our website to help you learn about different types of financing. Browse our website to read our collection of helpful articles so you can learn more about how to incorporate business loans into your financial plans. When it comes to obtaining access to the small business loans for women funding that you need, we can help. The opportunities are endless! There are so many online lenders who are waiting to provide you with the funding you need to start your small business. We can connect you with the leaders who can charge fair market rate interest rates and affordable loan terms. If you are worried about having a hard time accessing funding due to credit, many of our lenders work with bad credit or no credit loans. Don’t wait until it’s too late to start or expand your business, apply for one of our small business loans for women today! A gap in cash flow can result in missed opportunities!